Hey beautifuls how is your preparation for the upcoming festival going? Mine is in full fledged glory. 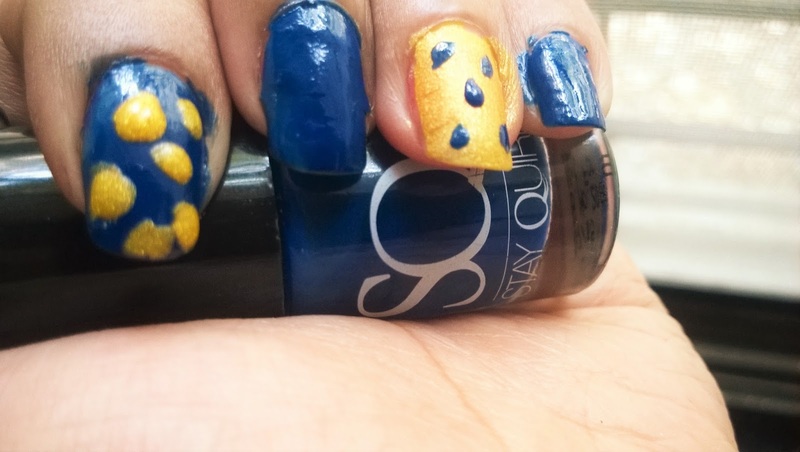 Today I have planned a pretty Nail art specially for the festive season with Stay Quirky Nail Polishes. I have used a very pretty deep blue from Stay Quirky Hidden Blue Secret in Shade 50 and a matte golden yellow called Stay Quirky Nail Polish Satin Effect Sunny Side Up in Shade 736. 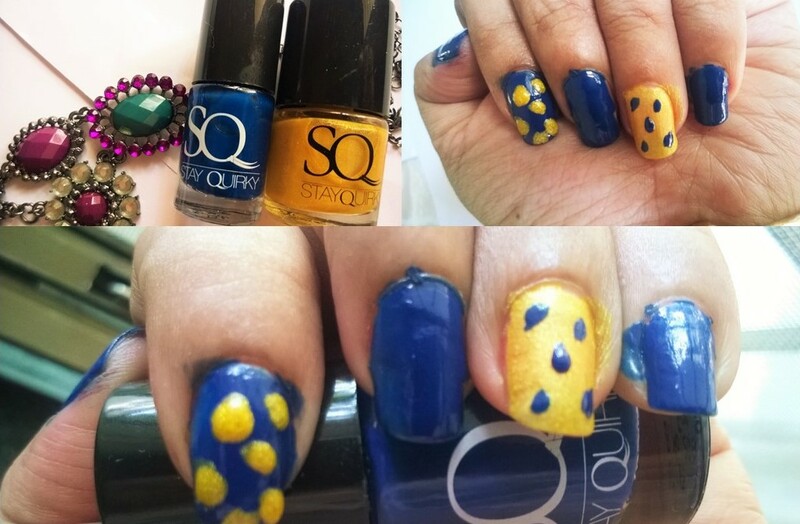 Hope you liked this nail art with Stay Quirky Nail Paints. 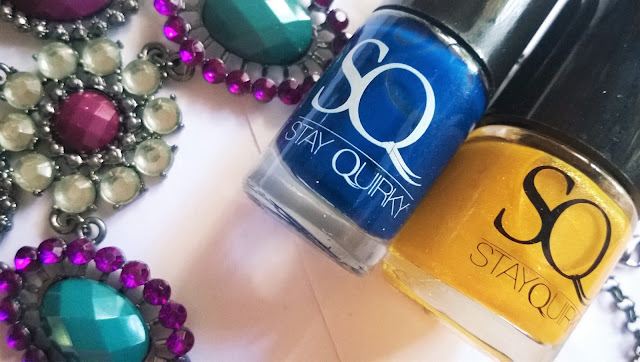 Have you got your hands on Stay Quirky nail paints yet?